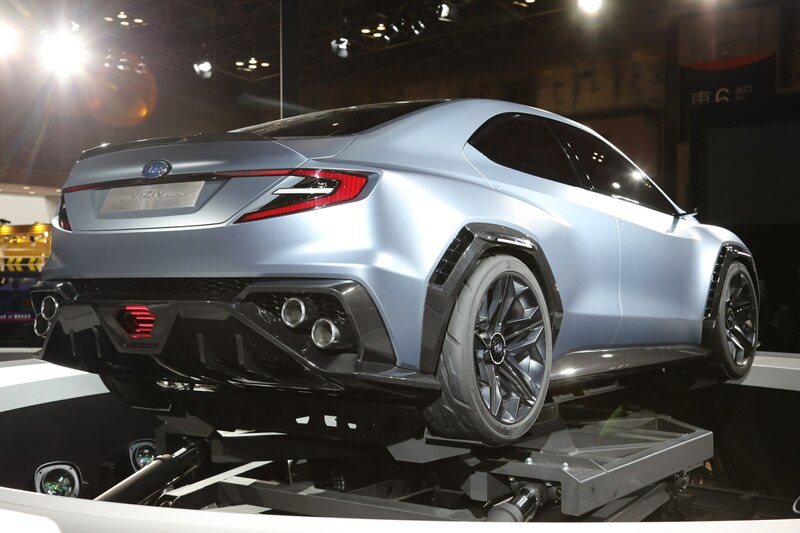 Back in 2015, we heard a shocking rumor that the next Subaru WRX STI would be a hybrid. At the time, there were no direct quotes from Subaru executives, so the report from Australia’s Motoring could have been pure speculation. But now it sounds like that report was pretty accurate. Speaking to AutoExpress, Chris Hawken, Subaru’s U.K. marketing director, said “[Subaru’s Global Platform] has been designed to take hybrid and electric.” While we knew that part, it’s the next thing he said that was more interesting. “That is the way STI is going,” said Hawken. That’s not necessarily confirmation, but it sure sounds a lot like Subaru plans to make the new STI a hybrid. Again, Hawken didn’t come out and say, “The next Subaru WRX STI will be a hybrid,” but reading those comments, it’s hard to imagine a Subaru producing a new STI that isn’t a hybrid. That may upset some STI purists, but as we’ve seen with performance hybrids like the McLaren P1 and the Porsche 918, with the right setup, hybrids don’t have to be boring. Hybrid or not, it will still be several years before we see the new STI. Subaru recently said the new WRX and STI won’t arrive for at least two and a half years. We respect your privacy. We will not sell your information to anyone! !